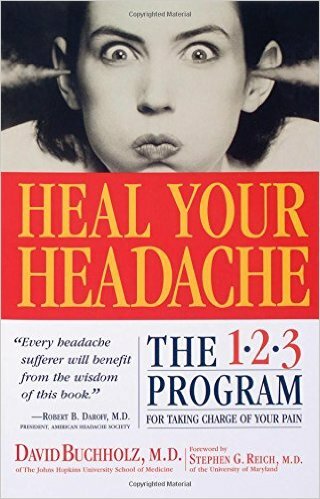 I’ve been following the program from Heal Your Headache for about a month now. It’s largely an elimination diet, combined with going medication-free for four months, after which I can slowly start adding potential trigger foods back until I trigger a headache. Some of the foods eliminated: caffeine, MSG, alcohol, chocolate, cheese, onions, nuts, and citrus (including juice). I will say that, overall, I feel better. I’ve lost a little bit of weight– not much, because when I feel deprived, I’ll have a soda or juice or a migraine-safe sweet. I’m drinking herbal tea like it’s going out of style– I had to replace my morning coffee with something, and I’m enjoying some turmeric-based teas by Rumi while I cope with the loss. Then, there was the mild, generalized headache that lingered for about 2-3 days. It was accompanied by acne, a bad mood, disturbing dreams, generalized anxiety, and back pain. Oh, right. That would be my period. It’s the first “regular” period I’ve had in a very long time, having been on hormonal birth control and IUD for about 20 years, and then having fibroids that disrupted it for over a year. Well– good to know what to expect, and surprising to find out that I’m as susceptible to menstrual-triggered migraines as anyone else. Finally, I had a very odd one last Friday. We were out in the very cold weather (for Vegas) for about an hour, and when I finally came back in, I had a headache. It wasn’t severe, but it was “more than mild.” About a 4 on a scale of 1-10. As I warmed up, the headache went away, and was gone within 15-20 minutes. I’ve never before paid so much attention to my headaches and triggers. Usually, I’ve only really noticed if I have one that’s really severe or debilitating. I’ll update again if things change or if I determine it’s not working after all.